Saturated Fat: Not So Bad or Just Bad Science? No doubt clients, patients, friends, and relatives have asked dietitians questions about whether coconut oil is a health food or if butter is better for you than once thought. The answers to such questions used to seem pretty clear cut. Such foods are high in saturated fat, which raises cholesterol and therefore should be strictly limited in our diets to reduce risk of heart disease and stroke. Similarly, the Academy of Nutrition and Dietetics (the Academy) released its position paper on dietary fatty acids for healthy adults in January advising people to get no more than 7% to 10% of calories from saturated fat.4 "Our recommendation was based on the totality of evidence for overall nutrition for healthy adults," says Gretchen Vannice, MS, RDN, coauthor of the Academy's position paper and an independent nutrition consultant in Santa Cruz, California. "Americans currently consume more than 11% of calories from saturated fat, and since many people overconsume total calories, the amount of saturated fat intake is high both as a percentage of total calories and number of grams," says Heather Rasmussen, PhD, RD, LDN, coauthor of the Academy's position paper and an assistant professor of clinical nutrition at Rush University Medical Center in Chicago. People who don't read past the "butter is not so bad" type of headlines in the popular press will find it tough to understand how some researchers and leading cardiovascular and nutrition organizations can reach such different conclusions. A closer examination of the evidence is required. Chowdhury's controversial review included 27 randomized, controlled trials and 49 observational studies, which involved more than 600,000 participants in 18 countries.2 The studies used measures of fatty acid biomarkers (circulating or in adipose tissue) and food frequency and diet history questionnaires to assess fatty acid exposure, with varying methods based on study type. Shortly after Chowdhury's meta-analysis was released, some corrections were published, although these didn't affect the primary author's conclusions.5 Other experts, however, strongly disagreed with the conclusions. "Chowdhury's analysis was deeply flawed due to omission of important studies, extraction of incorrect data from some studies, incorrect interpretation of their own findings, and failure to mention results of other, superior analyses," says Walter Willett, MD, DrPH, chair of the department of nutrition at Harvard School of Public Health, who recommended a retraction of the study. "The analysis missed the important benefits from both omega-3 and omega-6 polyunsaturated fats due to those problems, and therefore also missed the important benefits of replacing saturated fat with polyunsaturated fats." According to David Katz, MD, MPH, FACPM, FACP, director of the Yale-Griffin Prevention Research Center, "All the Chowdhury meta-analysis showed is that if you look over time in the United States, we had a very high rate of heart disease when our saturated fat intake was a bit higher, and we have the same very high rate of heart disease now that our intake of saturated fat is a little bit lower. There are two important points here: one, our intake of saturated fat is only a bit lower, and two, we've replaced it with sugars and starch, not with kale and broccoli. There is no evidence here even hinting at the notion that saturated fat is good for us." "I've read arguments both confronting the limitations of Keys' research and equally good arguments defending his research and its validity," Katz says. "I think the exact validity of Keys' research 70 years ago is moot—it's a historical anecdote at this point. If everything we knew about dietary patterns and health ended 70 years ago, it would be critical to know what Keys found. But we have more scientific evidence about diet and health since Keys' research than all of the accumulated evidence up to the time of Keys. The weight of evidence shows decisive benefit from dietary patterns of wholesome foods—mostly plants—that are low in saturated fat," Katz says. Penny Kris-Etherton, PhD, RD, a distinguished professor of nutrition at Pennsylvania State University, says, "There is a large evidence base showing that saturated fat increases LDL cholesterol and risk of coronary heart disease. Additionally, we have a lot of data showing that any increase in LDL increases risk of heart disease, along with evidence showing that decreasing LDL cholesterol reduces heart disease and mortality." When evaluating the merits of dietary fat studies, it's also important to recognize the limitations of observational or epidemiologic research, such as some of those included in the controversial Chowdhury analysis, Kris-Etherton says. "Studies that rely on 24-hour recalls to assess dietary intake are limited by the fact that what people eat one day may not be the way they typically eat," she says. "If food frequency questionnaires are used, sometimes only 40 foods are listed, and these dietary assessments are sometimes done 10 to 15 years before the end of the study, but people can certainly change their diets over that length of time." While some experts debate the merit of various studies, others are pointing out that there are many different saturated fatty acids, which may have individual effects on health—it's not black and white or an "all good" or "all bad" situation, Vannice says. Most dietary fatty acid carbon chain lengths range from 12 to 22 carbon atoms and have varying effects in the body.4 Lauric acid (C12:0), myristic acid (C14:0), and palmitic acid (C16:0) increase LDL cholesterol, whereas stearic acid (C18:0), which makes up more than one-half of the saturated fat in cocoa, is thought to have a neutral effect on total and LDL cholesterol levels.4,8 "At this time, recommending that people consume individual fatty acids is not practical, but it would be wise to recommend foods that are higher in the less detrimental saturated fatty acids, such as dark chocolate," Rasmussen says. Despite the popularity of coconut oil, this highly saturated oil is 44% lauric acid and 16% myristic acid, which are both hypercholesterolemic.4 "We do know that coconut oil raises LDL cholesterol, but it raises HDL cholesterol even more. Does that make a difference? We don't know," says Dariush Mozaffarian, MD, DrPH, dean of the Friedman School of Nutrition Science & Policy at Tufts University. "There's no strong data or evidence that coconut oil is better or worse for you than any other source of saturated fat," he explains. So why is there such positive buzz about coconut oil? "Most of the claims being made for coconut oil are based on research using medium chain triglycerides that are eight and 10 carbon chains in length, which are not the predominant fatty acids in coconut oil," Vannice says. "Some of the saturated fats in coconut oil may be metabolized differently and lead to less fat production, but the impact of replacing lard with coconut oil is unknown. In fact, coconut oil has much more saturated fat than both lard and beef tallow," she adds. She also cautions that many of the coconut oil products are highly processed and refined. If consumers choose to consume coconut oil, she says moderation is key, and using the less processed (virgin) oils is a better choice, as the fatty acids will be closer to their original form, and the oil will contain more phytonutrients. "There's a lot of emerging science indicating there may be some important components of dairy fats that may be good for our health," says Gregory Miller, PhD, chief science officer at the National Dairy Council. "For example, dairy is the predominant dietary source of odd-chain saturated fatty acids that have been associated with reduced risk of diabetes in several studies, including an August 2014 study published in The Lancet Diabetes & Endocrinology." That study followed more than 340,000 people across eight European countries and measured plasma levels of saturated fatty acids.9 The researchers found that fatty acid chains with an odd number of carbon atoms, specifically C15:0 (pentadecanoic acid) and C17:0 (heptadecanoic acid) predominantly found in dairy products, were linked with a lower incidence of type 2 diabetes, whereas even-chain saturated fatty acids that were measured (myristic, palmitic, and stearic acid), were linked with an increased incidence of type 2 diabetes. In a commentary that accompanied the study, Mozaffarian pointed out that more research is needed to determine whether odd-chain saturated fatty acids have direct benefits in the body or whether other substances in dairy products are providing the cardiovascular benefits.10 For example, he suggests the probiotics or fermentation of dairy products may deserve some credit for the protective benefits. Many people shun red meat for its so-called artery-clogging saturated fat content. However, they may be doing so in error. "Although many have picked on the saturated fat in red meat, almost 50% of the fatty acids in red meat are oleic acid—the same healthful fat in olive oil," says James DiNicolantonio, PharmD, a cardiovascular research scientist at Saint Luke's Mid America Heart Institute in Kansas City. Moreover, about one-third of the saturated fat in beef and pork is stearic acid, which isn't thought to raise cholesterol.8 Other factors beyond saturated fatty acids in red meat, including iron, may be of greater concern. "Beef has more iron than chicken or fish, and this heme iron from animal sources can lead to increased oxidation in the body. That oxidation can impact free radical formation and may damage cells," Rasmussen says. Historically, the health care community has communicated a rather straightforward message about the relationship between higher dietary saturated fat intake, elevated LDL cholesterol, and increased risk of cardiovascular disease, but the relationship is anything but simple. "A 2009 study in American Heart Journal of approximately 137,000 patients hospitalized for coronary artery disease found that almost one-half had LDL cholesterol levels below 100 mg/dL at admission," DiNicolantonio says. Notably, more than one-half of the patients had HDL levels below 40 mg/dL, showing the importance of this marker.11 However, the complexities of measuring cholesterol and cardiovascular disease risk don't end there. Houston explains that it's key to know the number of LDL particles (fewer is better) and the type. The worst kind of LDL is the small, dense LDL (type B), while the largest kind, type A, is least harmful. "Small, dense LDL is more likely to work into gaps in the subendothelium of arteries and become oxidized, sending out inflammatory signals and causing the cascade of events that increase risk of heart attack," he says. Similarly, there are several types of HDL cholesterol, including small, dense HDL3, which is believed to be the least protective against heart disease, and large, buoyant HDL2, which appears to be the most protective against cardiovascular disease.12,13 "Think of HDL as a garbage truck and LDL as the garbage," Houston says. "If you want to haul away a lot of garbage, you want a lot of big garbage trucks that are in good working condition—in other words, a large number of HDL2 particles. Small HDL can't haul as much 'garbage,' that is, LDL cholesterol." Although more research is needed on the effects of nutrition on the composition of LDL and HDL subclasses, some evidence suggests that consuming saturated fat in place of carbohydrates reduces the number of small, dense LDL particles.6,13 "However, this is not a useful dietary change, but replacing saturated fat with unsaturated fat, including omega-3 and omega-6, is useful," Willett says. Willett considers both refined carbohydrates and saturated fat to be equally harmful to heart health. "Ideally, the best diet will be low in both of these nutrients. Of course, we can't have a diet that has no saturated fat, because even many healthful foods contain some of it. We can, however, have diets without refined carbohydrates, and getting close to this will be beneficial, especially for someone who is overweight and insulin resistant," Willett says. It's important to realize that people not only get saturated fatty acids (especially even-chain fats, such as C14:0 and C16:0) from foods they eat, but also from synthesis in the liver when they consume large amounts of excess calories or carbohydrates, such as from sugars, Mozaffarian adds. An increasingly consistent message from cardiovascular researchers and health experts is that overall dietary patterns—rather than individual nutrients—hold the key to better health. Katz, who coauthored a 2014 review of dietary patterns that are best for health in Annual Review of Public Health,14 says: "There is no one nutrient that's responsible for all health ills, and there is no one nutrient that will make us healthy. It really is the overall dietary pattern. Dietary patterns consistently associated with good health tend to be low in saturated fat—but not because they focus on saturated fat—rather, it's because they're made up of the most nutritious foods preferentially. Those foods tend to be low in saturated fat just as they are low in salt and sugar and free of trans fat and so forth. Those foods are also minimally processed and close to nature, including vegetables, fruits, beans, lentils, nuts, seeds, and whole grains. There is no pixie dust involved. There is no magic formula, and there is no scapegoat. Wholesome foods in sensible combinations could be our salvation." 1. Bittman M. Butter is back. The New York Times website. http://www.nytimes.com/2014/03/26/opinion/bittman-butter-is-back.html. March 25, 2014. Accessed August 20, 2014. 2. Chowdhury R, Warnakula S, Kunutsor S, et al. Association of dietary, circulating, and supplement fatty acids with coronary risk: a systematic review and meta-analysis. Ann Intern Med. 2014;160(6):398-406. 3. Eckel, RH, Jakicic JM, Ard JD, et al. 2013 AHA/ACC guideline on lifestyle management to reduce cardiovascular risk: a report of the American College of Cardiology/American Heart Association task force on practice guidelines. Circulation. 2013; Epub ahead of print. doi:10.1161/01.cir.0000437740.48606.d1. 4. Vannice G, Rasmussen H. Position of the Academy of Nutrition and Dietetics: dietary fatty acids for healthy adults. J Acad Nutr Diet. 2014;114(1):136-153. 5. Correction: Association of dietary, circulating, and supplement fatty acids with coronary risk. Ann Intern Med. 2014;160(9):658. 6. DiNicolantonio JJ. The cardiometabolic consequences of replacing saturated fats with carbohydrates or omega-6 polyunsaturated fats: Do the dietary guidelines have it wrong? Open Heart. 2014;1. doi:10.1136/openhrt-2013-000032. 7. Ravnskov U, DiNicolantonio JJ, Harcombe Z, Kummerow FA, Okuyama H, Worm N. The questionable benefits of exchanging saturated fat with polyunsaturated fat. Mayo Clin Proc. 2014;89(4):451-453. 8. Stearic acid: a unique saturated fat. National Cattleman's Beef Association website. http://www.beefnutrition.org/CMDocs/BeefNutrition/StearicAcid.pdf. Accessed August 22, 2014. 9. Forouhi NG, Koulman A, Sharp SJ, et al. Differences in the prospective association between individual plasma phospholipid saturated fatty acids and incident type 2 diabetes: the EPIC-InterAct case-cohort study. Lancet Diabetes Endocronol. 2014; Epub. doi:10.1016/S2213-8587(14)70146-9. 10. 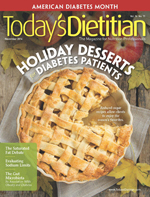 Mozaffarian D. Saturated fatty acids and type 2 diabetes: more evidence to re-invent dietary guidelines. Lancet Diabetes Endocronol. 2014; Epub. doi:10.1016/S2213-8587(14)70166-4. 11. Sachdeva A, Cannon CP, Deedwania PC, et al. Lipid levels in patients with coronary artery disease: an analysis of 136,905 hospitalizations in Get With The Guidelines. Am Heart J. 2009;157(1):111-117. 12. Pirillo A, Norata GD, Catapano AL. High-density lipoprotein subfractions—what the clinicians need to know. Cardiology. 2013;124(2):116-125. 13. Parlesak A, Eckoldt J, Winkler K, Bode CJ, Schäfer C. Intercorrelations of lipoprotein subfractions and their covariation with lifestyle factors in healthy men. J Clin Biochem Nutr. 2014;54(3):174-180. 14. Katz DL, Meller S. Can we say what diet is best for health? Annu Rev Public Health. 2014;35:83-103.